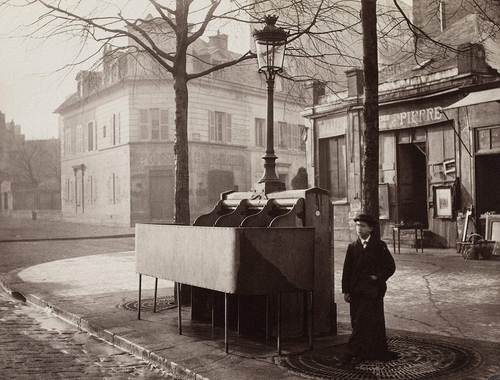 Sometimes called vespasiennes (after the first-century Roman emperor Vespasian, who generated revenue through the public latrine system), the first public urinals were installed in Paris in 1834. Their numbers multiplied greatly during the Second Empire, owing to Haussmann’s near obsession with sanitation. Varying in design from basic shells to ornately decorated structures, the vespasiennes (only one of which remains) frequently boasted advertising columns and were sometimes topped by a lamp.